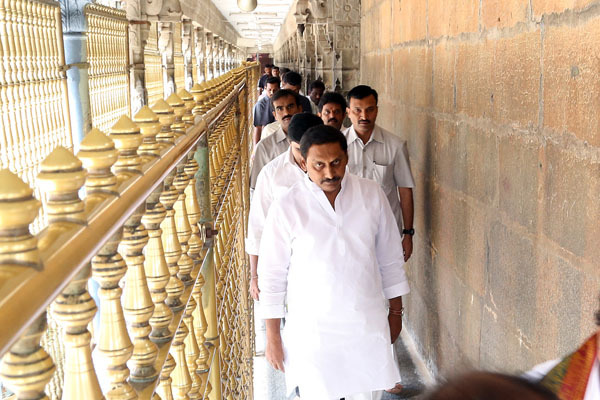 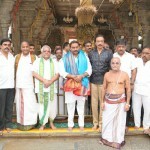 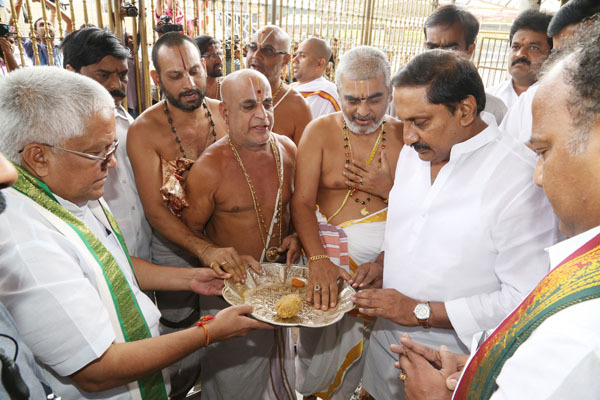 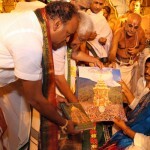 TIRUMALA, Nov 28: The Hon’ble AP CM Sri N Kiran Kumar Reddy had blessings of Lord Venkateswara in Tirumala Srivari Temple on Thursday morning through VQC– I. 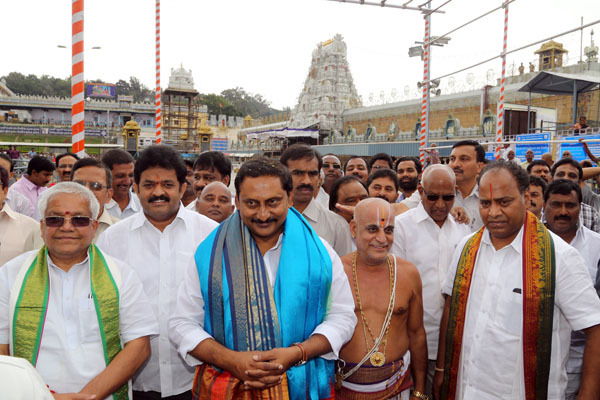 On his arrival at Sri Vari Temple, the priests and officials have welcomed the Hon’ble Chief Minister with Temple honors ( ISTHIKAPAL) and led to the sanctum sanctorium. 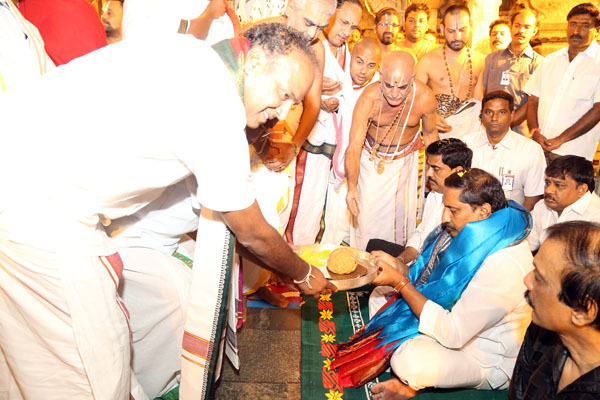 After dharshan of lord, the temple priests have rendered Vedasirvachanm to the CM and his entourage at Ranganayakula Mandapam. 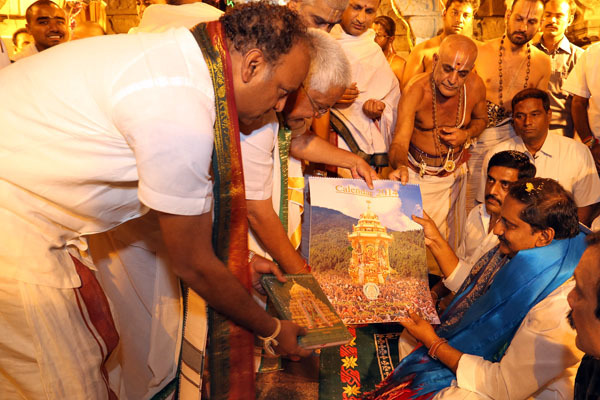 TTDs EO Sri MG Gopal and JEO Sri K.S.Sreenivasa Raju presented Sri Vari Prasadam, 2014 New Year Calendar, Diary and image of Lord Venkateswara to the delegates. 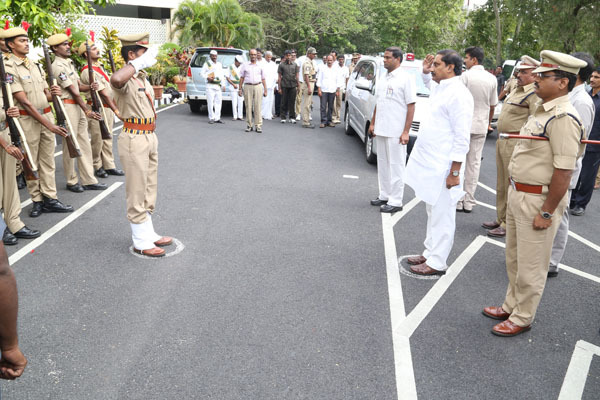 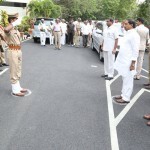 Dist Collector Sri Ramgopal, Supdt of Police (Urban) Sri Rajasekhar Babu, Addl CV&SO Sri Sivakumar Reddy, DyEOs Sri Chinnamgari Ramana, Sri Venkataiah, OSD Sri Damodar and others were present.